At Kaizen, we know exactly what we are doing when it comes to anything to do with design and print. That’s why over the past few years, many great businesses have entrusted us with not only designing their logos but also with all their marketing needs. But, did you know that your company’s design plays an important part in creating and strengthening your business? Yep. When it comes down to it your design is so much more than just a pretty picture with your company’s name across it. 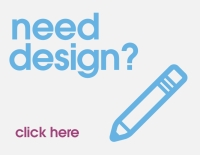 There are a number of reasons why having a great design is a must have for any company, whether you are looking for a funky logo design or are simply after some good looking marketing tools. We’ve listed some of them. First impressions are important. It doesn’t matter if it’s for a date or an interview, we all judge based on first impressions. When it comes to running your own business, you won’t always be seeing clients and customers face-to-face, so having a design that gives a great first impression is really important. It is the one of the first things that will tell them what kind of company you are, and their initial judgements rest with it. You want your design to represent you and your business to the world. It has to look good and send the message it is supposed to. That’s why you will want professionals looking after it. Having your design done professional will give it a certain quality, an extra something that makes it stand out. Design is incredibly important to how your customers perceive your business. You’ve got to think about colours and shapes and what they mean psychologically. Colours such as blue are tranquil can represent a sense of trust, while colours like yellow represent happiness. Squares can be seen as a stable element, while curves are adaptable and circles give a sense of community and unity. Figuring out which shapes and colours to use in your design are key to ensuring the success of your business. Having a strong logo also helps keep things consistent, whether it is on letterheads, business cards or bigger marketing props like posters and banners. Having your design will keep everything under your brand. This point also ties into the professionalism point as keeping things consistent is a strong component to how your company looks to any clients, customers and business associates you have contact with. Being consistent with your design also helps your brand recognition. If customers see your design on flyers, banners and posters – they can (and more importantly, will), recognise it a lot more easily. Having a strong and consistent design will help boost sales and get your name out there. How you ask? Well, if you didn’t use the same logo and design, then your customers would be totally confused as to who you are as a business, which would potentially cost you money.